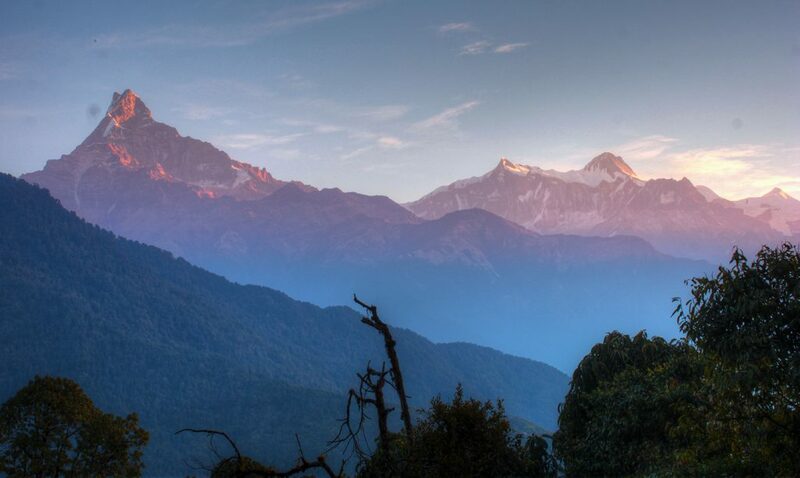 Explore one of the most beautiful regions in Nepal- the Annapurna! Most of the popular treks in this region lies on the busy touristic trails. 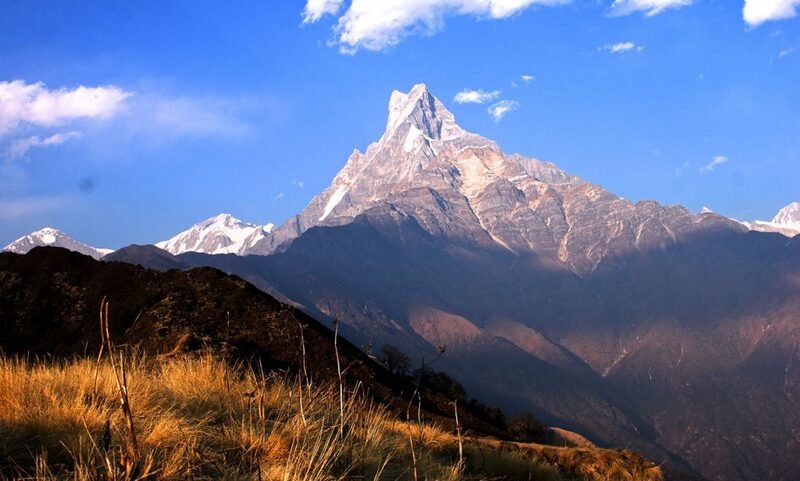 However, Mardi Himal trek- officially opened in 2012, has yet to draw large crowds thus giving you a true sense of exploration. 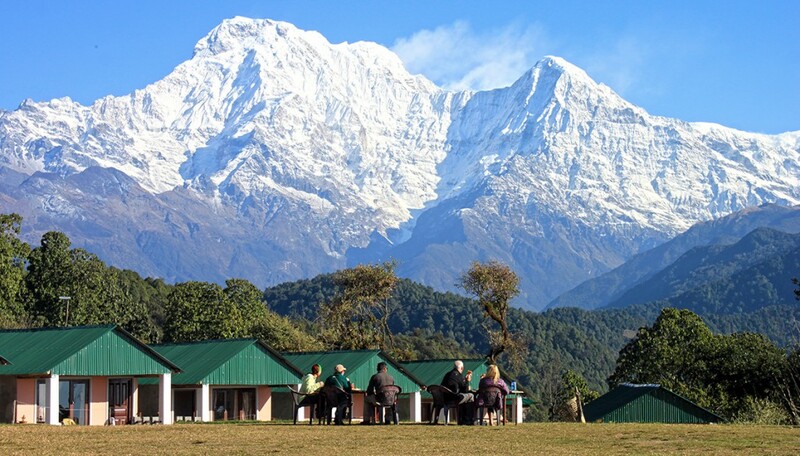 With remote trails through rhododendron forests, to sublime ridges, along with stupendous views of the dramatic Annapurna range, this trek offers an escape from the busy touristic trails with crowded lodges, thus providing a wilderness experience in the high alpine landscape. We end the trek with a two day trek through the charming villages of Siding and Lwang. These two welcome you right into their amazing culture with their friendliness. 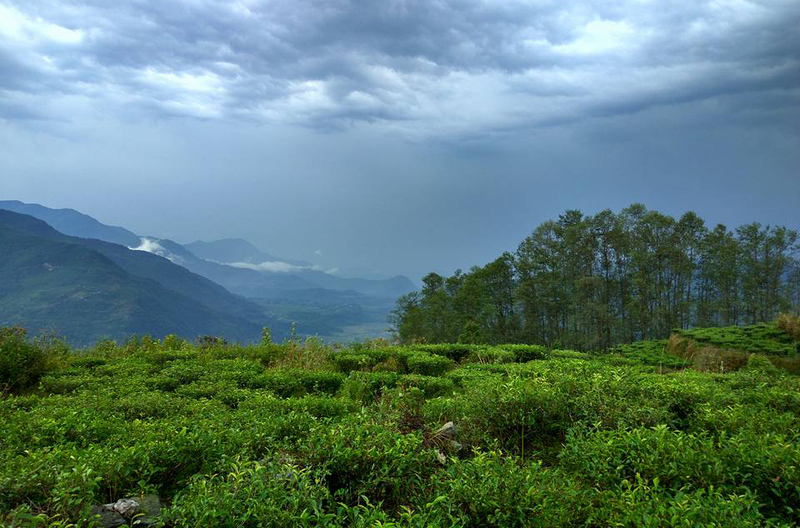 You get an opportunity to do a tea tour, witnessing the organic tea processing, making of ghee (dehydrated butter), and even get an opportunity to join a cooking class if you are interested. After this amazing experience we have a couple of days in Pokhara, where you can experience the amazing paragliding over the Phewa lake with the majestic Annapurna views. There are many other activities available in Pokhara from kayaking to cycling and bunjee to zip lining. After Pokhara we take a detour to Bandipur on the way to Kathmandu. 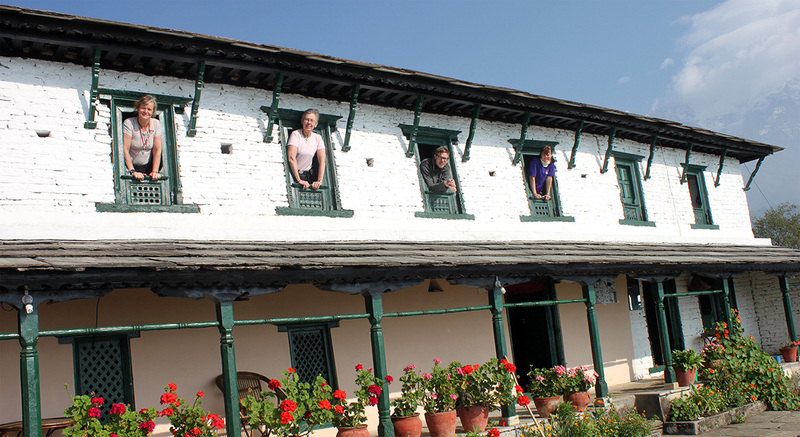 Bandipur is one of the new emerging destinations of Nepal in the form of community-based tourism. It is an ancient Newari mountain town, untouched by modernization, thus offering a splendid variety of natural and socio cultural diversity. charming and peaceful environment, and friendly locals.Bandipur is an ancient trading town along the India-Tibet trade route, established by the Newar traders from the Kathmandu valley. With them they brought their cultural heritage and architecture which basically has remained unchanged to this day. Time seems to have stood still here, although it has taken a lot of effort to preserve the magic while developing the town as a destination. There are charming cafes and lodges offering outdoor dining along the street of the main town which is pedestrian zone giving it delicate mix of its 18th century traditional experiences with a distinctly European feel. 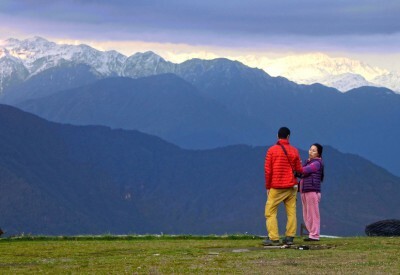 To the North, the skyline is dominated by the Majestic Dhaulagiri, Annapurna, Manaslu, and Langtang ranges. This is the best trip we can offer for those who wants an off the beaten track experience in Nepal, in a short period of time and with moderate level of difficulty. Breathtaking views of Annapurna ranges, Dhaulagiri, Machhapuchre and Manaslu ranges. Beautiful tea gardens and rice field with green terraced farmlands. following things handy when arriving. 3. Photocopy of your passport. historical temples and monuments. You will end your sightseeing with a lunch. to do your packing and purchasing your last minute items for your trek. Trek Kande to Australian camp: 3.5 kms, 1 1/2 hours approx. we will be transferred to our hotel in the heart of Lakeside. From Pokhara we travel by private car for 40 mins to Kande, where the trek officially begins. 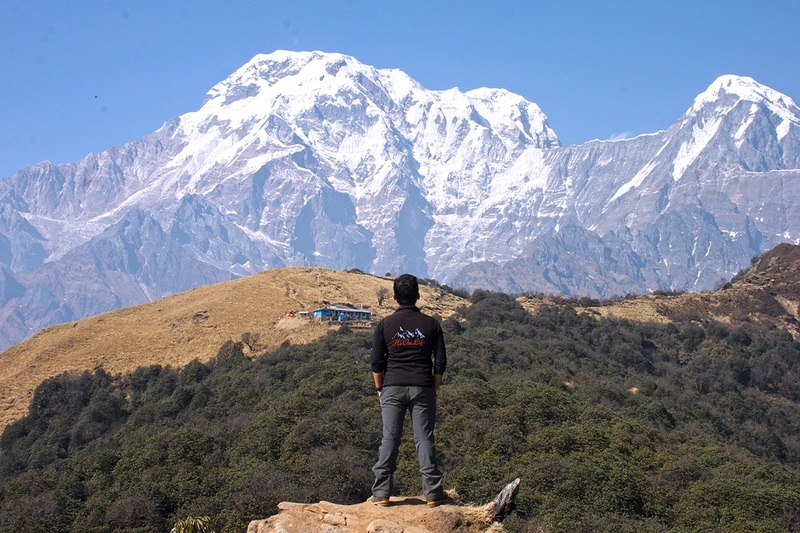 are awesome views of the Annapurna on the north-eastern side. We wake up early today to get the morning view from Australian camp, which is simply breathtaking. The Annapurna range with Annapurna II, III and IV along with Annapurna South, Machapuchhre (Mt. 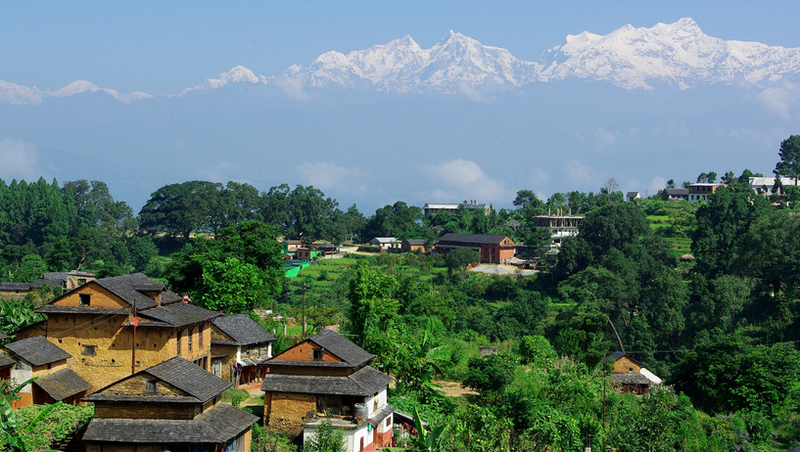 Fishtail) and Lamjung Himal dominates the Northern skyline. Further East you can get beautiful views of Mt. Manaslu, Budhha Himal, Peak 29 and Himalchuli. After the sunrise view and breakfast we hit the trail. We begin with a small descend of about 20 mins to a small village of Pothana where your permits will be checked and make entries. From Pothana we climb for about 45 mins to reach Pitam Deurali at 2100m. 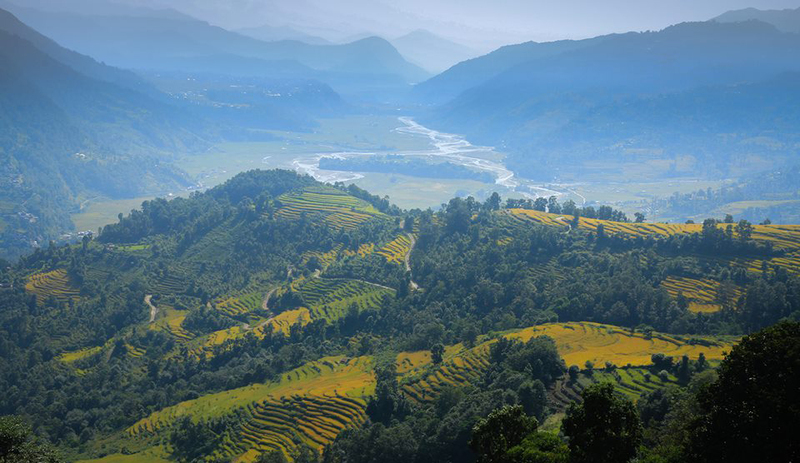 From here, we leave the main trail of the Annapurna BC and Ghorepani trek and leads into complete wilderness. 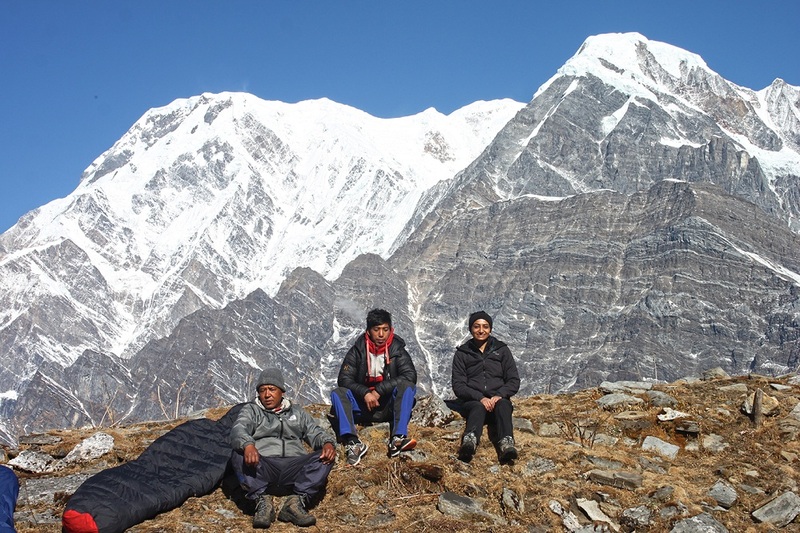 We trek through dense forest and head towards north occasionally coming out to a clearing with super views of Annapurna I and South with Huinchuli including Annapurna IV -II and Lamjung Hima. We stop for lunch wherever appropriate and then continue further into the forest to reach forest camp, also called Kookar where we camp for the night. The trail continues through the forest. As we begin to climb the vegetation starts to change with more rhododendron and birch trees with moss and lichen hanging from them. We arrive an open area from where there are fantastic view of Mt. Machapuchhre (Mt. Fishtail). There are a couple of small tea houses here. We will stop here for lunch. After lunch we will climb another hour and a half to reach Badal Danda. We will camp here for the night. 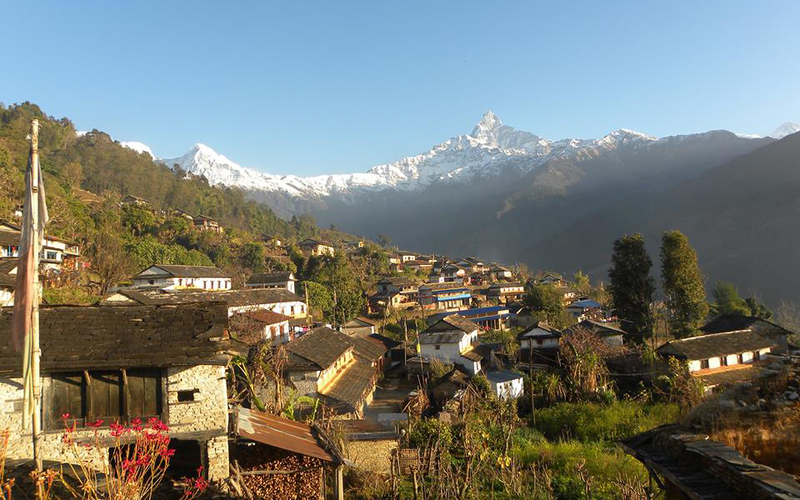 Splendid views of Annapurna South, Hiunchuli and Fishtail can be seen from here in the morning. After spending a beautiful morning with amazing views and breakfast we begin our trek leaving behind the tall tree lines and lush vegetation for alpine shrubs and dwarf rhododendron bushes. High camp is a small pasture with 3 lodges and the mountains are much closer now. We camp here for the night. Today we begin with a steep climb along a narrow trail with steep drops and uneven rocky steps at some places. Our sherpas will be guiding carefully looking for even grounds. After about 2 hours of climb, we pass through pastures leading along a narrow ridge to reach the Base of Mardi Himal. There are a few cow sheds and a beautiful plateau. The upper view point is another 2 hours walk from here. We get amazing vistas of Mardi Himal (5587m), Annapurna I (8091m), Annapurna south (7219m), Hiunchuli (6441m), Baraha Shikhar (Mt. 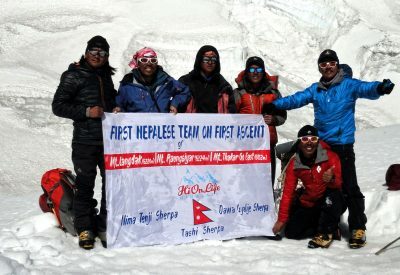 Fang) (7647m), Tent Peak (5695m), Singhachuli (6501m), Machapuchhre (6993m) and others. We will camp at the base of Mardi Himal. Trekking: 6 to 7 hours. We wake up early today to get the best opportunity for amazing views of the mountains. After a liesurly breakfast with breath taking views, we start to trek back to High Camp. After High Camp we will trek further down to Low Camp. Trekking: 5 to 6 hours. 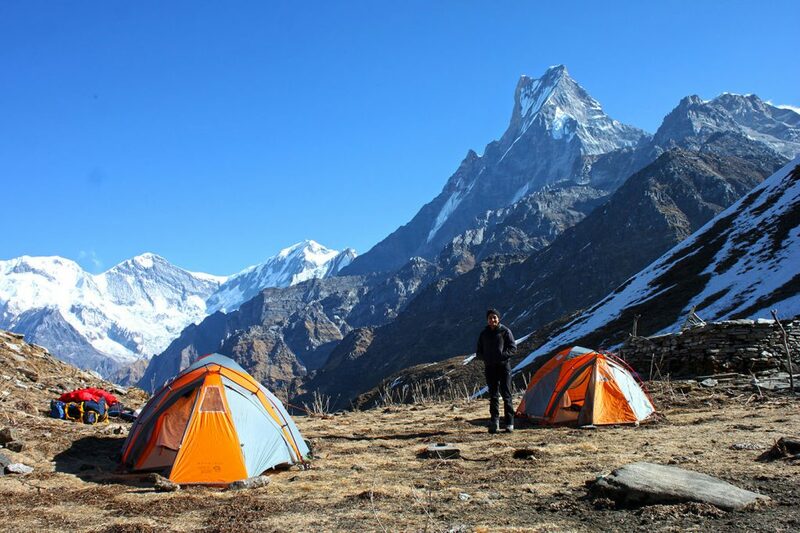 From Low Camp we trek back to Forest Camp and then leave our Mardi Himal trail and descend steeply through rhododendron and Maple forest to the permanent settlements closer to valley basin. 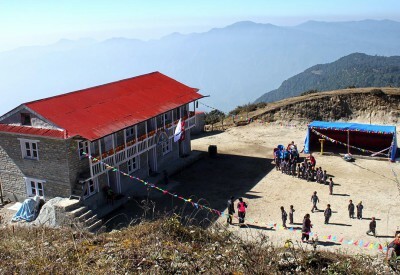 Lwang is an amazingly beautiful Gurung village with rich culture and happy friendly people. This village offers one of the best opportunity to experience the authentic Nepalese countryside lifestyle and enjoy the organic food. The village farmers also grow organic tea in 50 hectors of land. There are beautiful home stays in this village and we will get an opportunity to stay a night with the local family sharing their lifestyle. The waterfall in the outskirt of the village offers one of the most exciting canyoning adventures. We will also have our last night party with our trekking crew here. After breakfast we will further explore this beautiful village. After an amazing experience at this village, we will hit the trail one last time to end the trek at Khoramukh which will take about an hour. From here we will be picked up by a jeep and drive to Hyangja on dirt road for about an hour and a half. From Hyangja we will be picked up by our van and drive for 30 mins to reach Pokhara. On arrival at Pokhara we check in to our hotel. The rest of the afternoon is free. You can take a walk along the lake side or simply relax at the hotel. This day is reserved for you to explore the beautiful town of Pokhara where there are dozens of exciting activities. We definitely recommend you to do Paragliding. 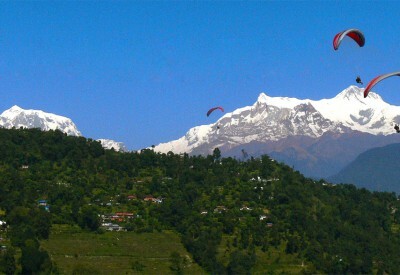 Paragliding from Sarangkot is regarded among the most scenic paragliding in the world. The take-off point is a grassy meadow which is a short walk from the lodge. We have experienced pilots, both local and foreigners, who will be flying your tandem paraglide. You will be airborne 30 to 40 mins depending in the thermals. We will fly above the Phewa Lake with a birds eye view of the lake and Pokhara city with amazing views of the Annapurna range towards the north. We will land on the banks of the lake and then drive to our hotel. You can also hire a boat or kayak and spend some time in the lake or hire a bike and bike around the lake or the town. For those who want an adrenaline sport, you can try the bungee jump or the zip lining. There are many things to do in Pokhara, or simply relax by the lakeside reading book and enjoying a smoothie. After breakfast we drive to Bandipur along a scenic highway. On arriving Bandipur, we check in to our hotel. The rest of the afternoon we can do a short hike to the caves or simply relax and walk through the old town absorbing the relaxing 18th century ambience. After breakfast we will drive along the Prithvi highway along side the Marshyandi river till Munglin and then follow the Trishuli river. Upon arrival to Kathmandu we check in to our hotel. The rest of the afternoon is free. According to your flight time we will drive you to Tribhuwan International Airport 3 ½ hours before your flight time. Although it is an easy trek, average fitness is essential, as we walk along gravel/ dirt paths. The trails are easy but have some uphill climbs as well as down hills. Walking or jogging 45 mins to 1 hour for at least two times a week on undulating terrain or on a tread mill for at least 3 months prior to departure. Cycling is recommended. Easy hikes on weekends with a daypack in variable weather conditions are also recommended. Although each day is different, considering the weather, general pace of the group and length of the days walk, in general your day begins with a wake up tea at around 6 to 6:30 in the morning. You will then be provided with a bowl of warm water for washing. Then you will need to pack your duffel bag and your daypack and come to the dining tent for breakfast. After breakfast we will hit the trail and usually walk for about 3 to 4 hrs before we stop for lunch. Lunches are usually picnic packed lunch. We allow you about an hour rest during lunch, which will also give enough time for the staff to prepare lunch, wash dishes and have their lunch and pack. Usually after 3 to 4 hrs of walking we finish the days walk by 4 PM. Tea/ Coffee and snacks will be served on arrival to the camp. Your Group Leader will often organize side trips in the afternoon. Your dinner will be served around 6 PM. 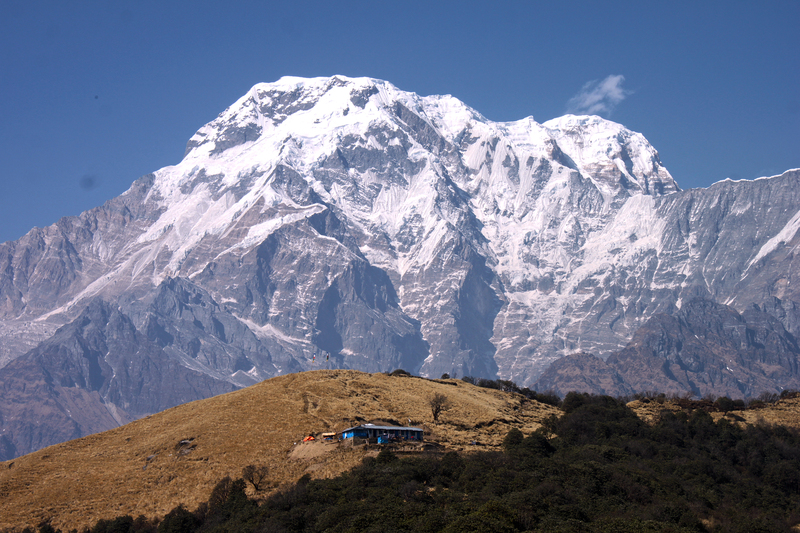 On this trek you will be going up to 4400m, so it is important to understand the affects of altitude. The greatest provocation is going too high too fast. 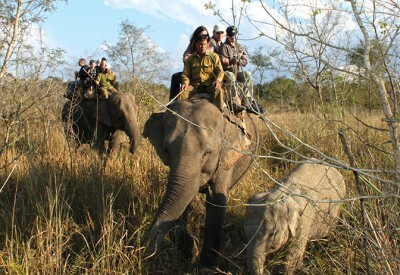 Hi On Life Adventures’s itinerary has been carefully designed to minimize the effects of altitude. We ascend slowly and surely allowing enough time for safe acclimatization.Headaches and breathlessness are common at altitude which in itself is nothing to worry about. In rare cases, this may worsen to Acute Mountain Sickness (AMS), so a close watch is kept on all trekkers by the group leader who is trained to recognize the symptoms of AMS which are severe headaches, nausea, lethargy, loss of appetite serious breathlessness even at rest. If any trekkers show such signs they will be descended to relatively lower and safer altitude. The Group Leader’s decision on evacuating such person to a safe altitude is final. Do not medicate yourself without first informing your group leader. 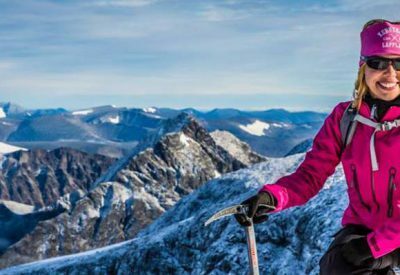 Going to altitude slowly with adequate rest and adequate intake of fluid (3 to 4 litres per day), you will most likely have no problems apart from breathlessness on hills which is completely normal as the percentage of Oxygen in the air is relatively lower to that at sea level. The most important thing is not to worry about altitude because our team is there to take care of you. altitude sickness, emergency procedures and have extensive knowledge of the natural history of the area. The best time for this trek is March till May and October till December. If you are comfortable camping at -10C then you can do this trek also in January and February when the air is cold and crispy with clear blue sky. From March till May the temperature is pleasant with clear skies andd occasional rains. The rhododendron are in full bloom and the valleys are covered like velvet. At the beginning of the trek and towards the end, that is at lower altitude the temperatures can be between 25C to 28C during the day and nighttime temperatures between 10C to 15C. 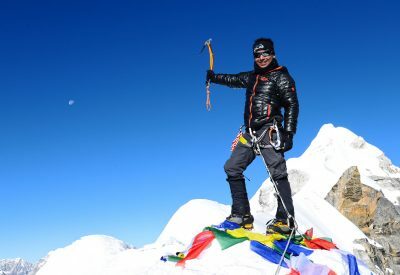 As we reach higher altitude above 3000m the daytime temperatures will be between 5C to 10C during daytime and can drop to -5C at night in Base Camp. 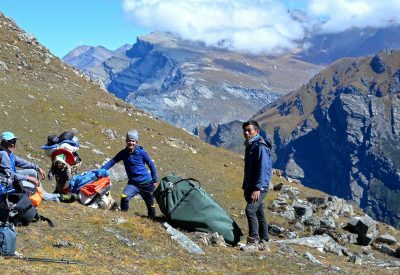 Please note: For every trek we provide these 1400 gm to 1800 gm down sleeping bags depending on altitude, and warm down jackets- you need not bring your own. Please consult a doctor for vaccination against Typhoid, Meningitis, polio, and hepatitis. If you have special dietary requirements or allergies, please give us a list of what you can and can’t eat so that we can provide proper food for you. If you are undergoing a course of prescription medicine, please ensure that you have sufficient supplies for the entire holiday. Some types of drugs including antimalarias have side effects at high altitude; therefore please consult your doctors regarding these drugs. The places you trek are mosquito free and there has been no report on malaria in Kathmandu and you do not spend time in the low land Terais. We highly recommend you to take a comprehensive Personal Travel Insurance before leaving home. This should cover for your loss of baggage, airline delays, sickness, and accidents. It should cover all incurring costs for evacuations. In Kathmandu and Pokhara: During the entire trip the only meals that you need to pay for are 3 dinners and 2 to 3 lunches depending on your time of departure flight. Kathmandu and Pokhara have a wide variety of restaurants with a very wide range of price. Depending on where you eat, each meal will cost anything between 5 to 10 USD + drinks. Plus 20 to 30 USD for your taxis if you wish to go around the city. On trek: Basically there are no place where you can spend money on the trek. However, in few places you might find small tea shops that sells cold drinks, chocolates etc. It is recomended to bring around 5 to 7 USD per day. This money is chocolates, soft drinks and beers etc and also for small donations in the monasteries. While in Pokhara if you wish to do extra activities you need to pay it yourself. On the trek: At the end of the trek it is a customary to tip the field staff. The recommended amount is 80-120 USD depending on group size. The Group leader will collect the tip and then split it between the staff and put it in envelops so that the trekkers can give it to the staff during the “Farwell Ceremonies”. Please note– the Group Leader is not included in this tip. 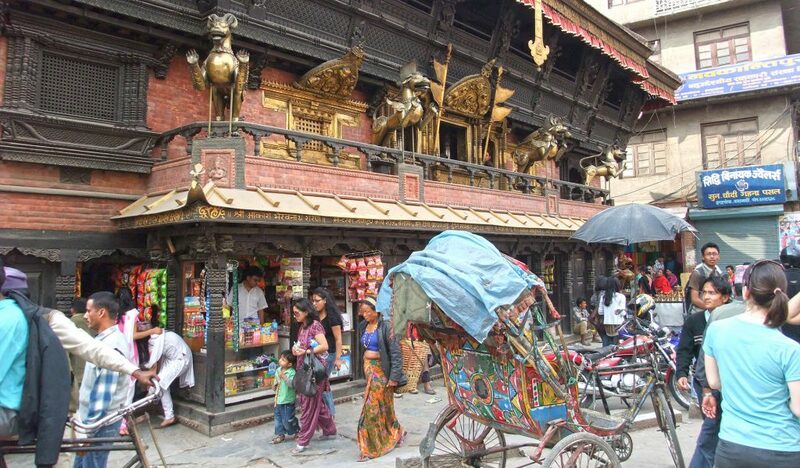 If you want to tip the Group Leader, you can do it separately at the end of the entire trip coming back to Kathmandu.